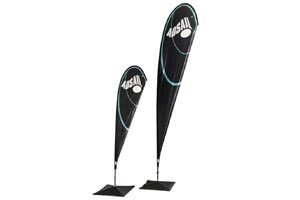 Adwings is a promotional flag display system that assembles in minutes and can be used indoors or outdoors, withstanding tough weather conditions. Adsail, like Adwings, is the perfect answer for those requiring an indoor / outdoor signage solution. 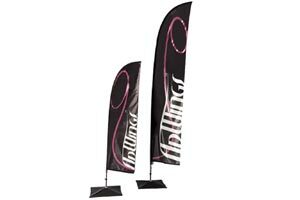 Our teardrop flags are designed to handle wind and the elements.